Consolidating Paddle Roller, available in 3 sizes. 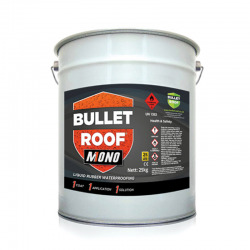 Bullet Roof Mono is formulated to the highest specification and can be applied over almost any surface in one thick rubber like coat. 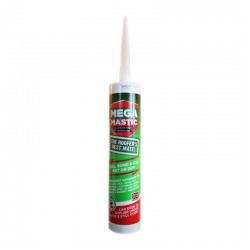 Top Features Easy to apply by brush, roller, or airless spray. High abrasion resistance. Resistant to immersion into water. 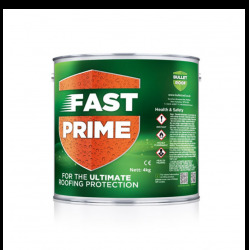 Ideal for outdoor application. Solvent based. 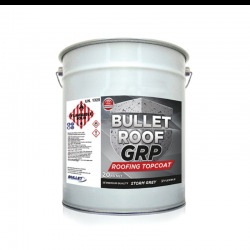 Polyester reinforcement roll for use with Bullet Roof PU. 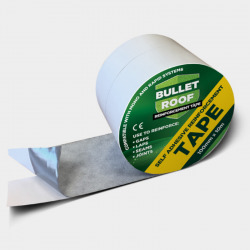 Supplied as a 50m x 1m roll. 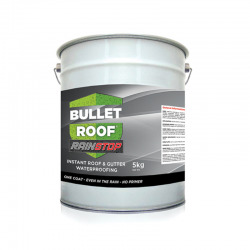 Due to the demand for a faster curing membrane with more thixotropic qualities, Bullet have developed Bullet Roof “Rapid” which will cure fully in times from 90 minutes. 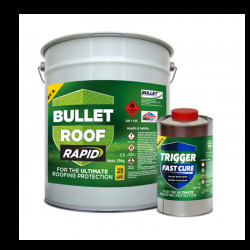 Top Features Rapid cure time. Highly Flexible and elastic. Non Toxic after full cure. Remains Elastic even down to -40 deg C.
100mm x 10m reinforcement tape. 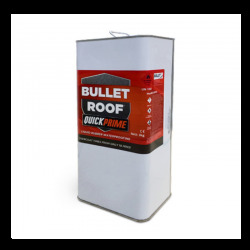 Compatible with Bullet Mono and Rapid Range system.